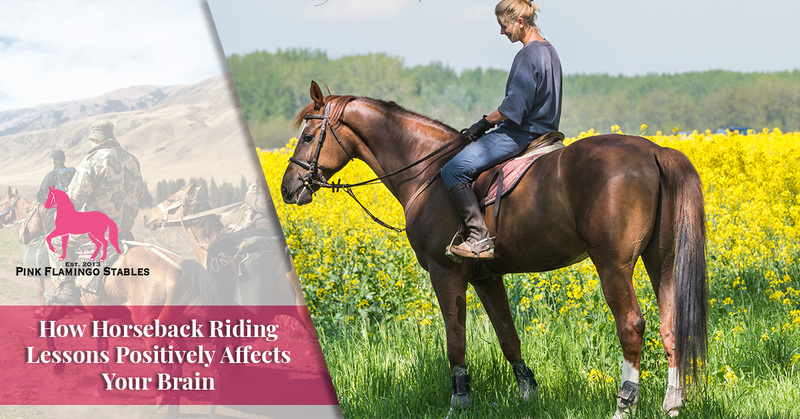 In our previous article, we discussed the many positive ways that horseback riding can affect the brain, whether you’re just here for a single day of horseback trail riding or if you’re a regular attender of our horse riding school. First we talked about how horseback riding releases feel-good endorphins in the brain, which reduces stress and improves physical health. The rocking motion of horse riding is something nearly everyone enjoys, as is the affection that horses show. We also talked about how merely being outside in nature can do the same, and that just happens to be where our horseback riding takes place! All of those are benefits that riders can enjoy whether they visit our Lake Worth horseback riding school for a day or come for regular horse riding lessons. But there are some psychological benefits that are more likely to be experienced by those who take horseback riding lessons for years. Let’s take a look at these important brain-boosting benefits of riding lessons. If you’re visiting us for a single day of horse trail riding, we’ll admit that you don’t have a whole lot of decisions you need to make. The horses know the trails well, and you can just sit back and enjoy the benefits we mentioned in that last article. But the experiences of horse riding lessons are very different when it comes to decision-making. Once you get to the level where you’re riding at a fast clip, horseback riding requires quick decision making skills as you move about the arena. The good thing is, you don’t have to have these skills initially; you’ll pick them up and expand them as you come back again and again. The more you do it, the more you’ve trained your mind to make quick decisions when moving at a fast speed. This can even translate to being a safer driver! When you’re riding a horse, you’re not distracted by the worries of the world. Whether you’re a young rider or are here for adult horse riding lessons, the usual distractions of the world bring will be set aside while you’re astride your horse. Horse riding requires intense concentration, even if you don’t realize it at the time. But after you are off the horse, you’ll realize just how focused you were while riding. The many other cares of the world — cell phones, political arguments, problems at work — all go away because of the focus on such an enjoyable activity as horseback riding. While horse riding might have been a daily occurrence for many people a hundred or more years ago, there aren’t many people of today who have the skill to ride a horse. To have a skill like horseback riding, to be able to ride a horse correctly and get the 1500-pound creature to do what you want, can certainly be a confidence booster no matter your age. Whether you’re interested in horseback riding lessons because you’d like to gain the psychological advantages we’ve mentioned above or you just love horses, we’re ready to teach you the best way to interact with our equine friends. Click here to learn more about our horse riding lessons in Lake Worth!